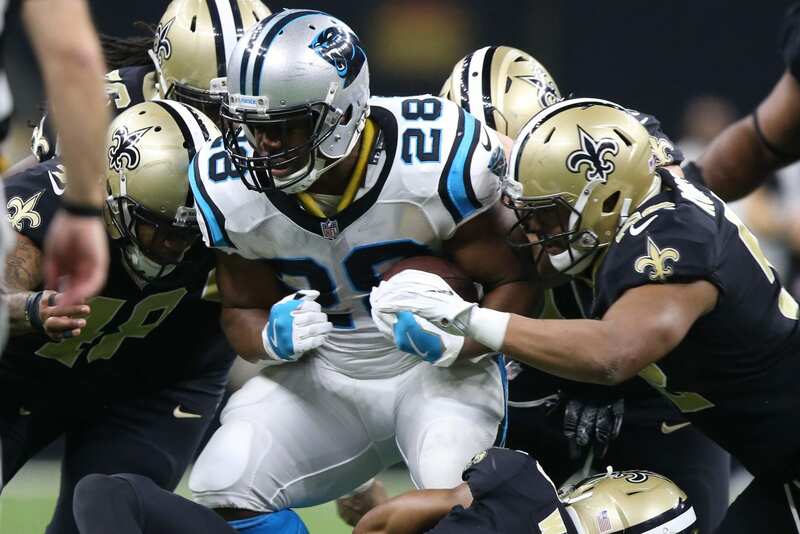 The New York Giants have signed former Panthers Running back Jonathan Stewart, according to Adam Schefter. The signing shouldn’t sway your opinion on the potential for the Giants to snag Penn State running back Saquon Barkley with the No. 2 overall pick. Stewart brings veteran leadership, familiarity with the Giants’ offensive coordinator Mike Shula, and a hard-nose attitude. Stewart played in 15-games last season, rushing for 680-yards and six scores. His usage may take a dip being that he’s 30 years-old, but we can assume he will fill the role of Orleans Darkwa who will likely be walking in free agency.